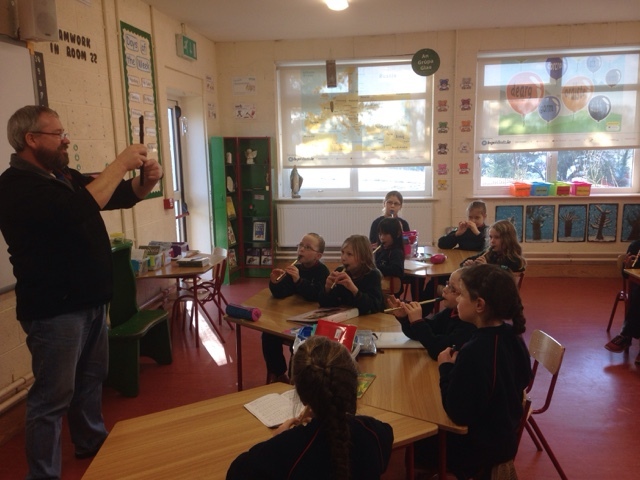 Wednesday's really are wicked for us as not only do we get to go swimming in the morning, we are lucky enough to have Padraig visit and teach us how to play the tin whistle! 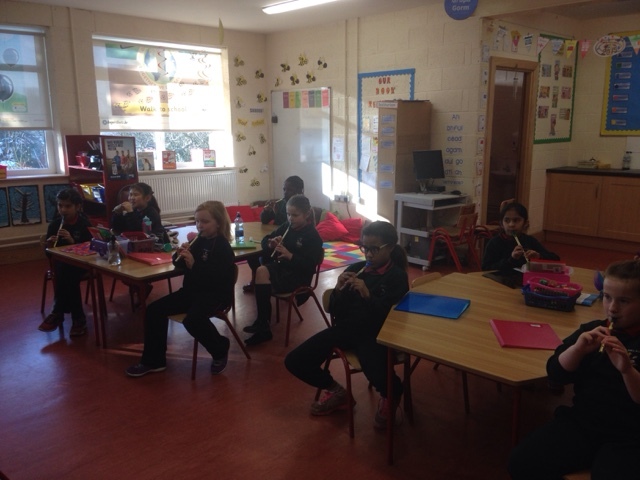 These pictures are of the girls during their second lesson, performing Twinkle Twinkle Little Star. 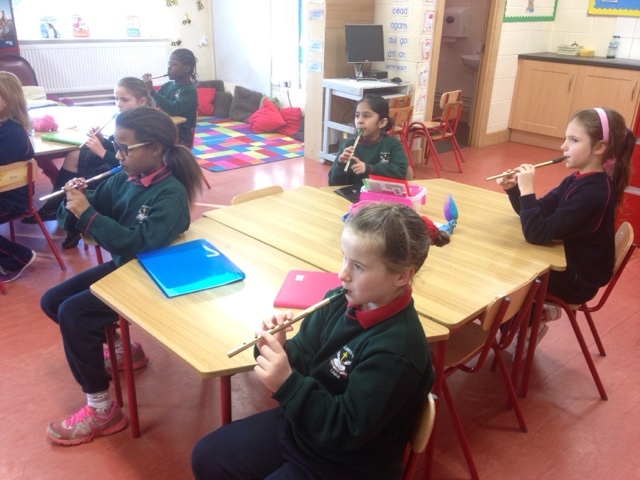 To be able to play a song after two lessons is really impressive! Keep up the good work! !